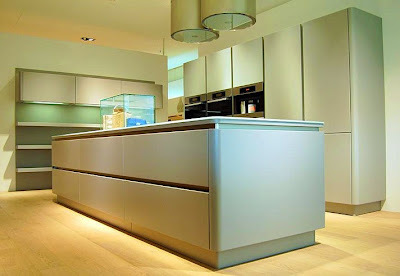 Home »Unlabelled » Handle-less Kitchen Designs. 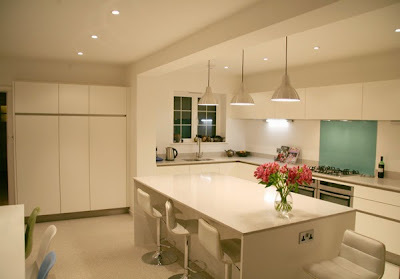 Kitchen space is one of the area which so full of storage, cabinets, pull out drawers isn't it ! Transform your kitchen into a seamless and uninterrupted beauty with the these inherent storage that too without handle on a single cabinet or drawers. Make it mess free and complete beauty with handle less kitchen concept. 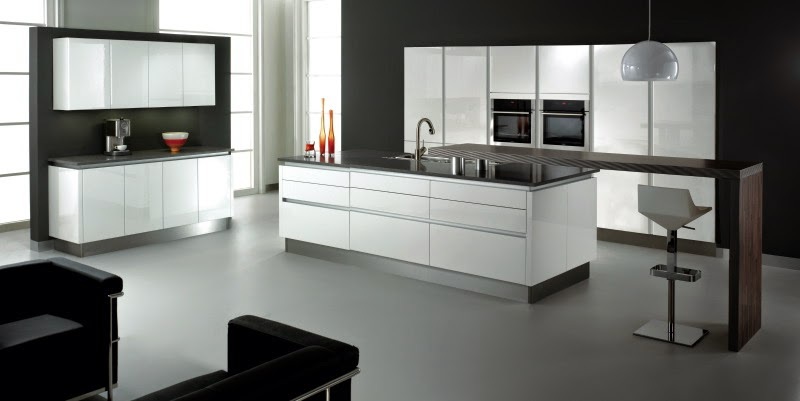 Get the most elegant, sophisticated and modular compact kitchen with the push door open cabinet and drawers system. No need to put in your efforts to look out for the perfect matching handle for your kitchen cabinets and drawers. Just install a push button inside all the cabinet doors, drawers etc. to get a handle free kitchen settings. Handle less kitchens take less space to get installed, they are hassle free, no chances of getting your hand scratched by handle while moving around, they are easier to clean, maintain, suits your personality, adds an instant chic to your kitchen designs and uplifts your kitchen status. 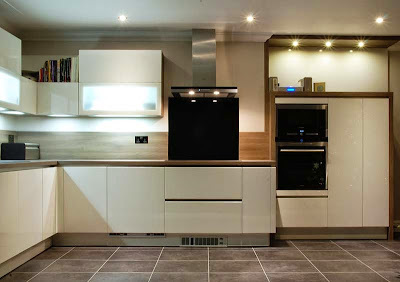 Handle less kitchen is not only pleasing to the eye but it makes easy to work in the space. Just a slight push to the cabinets and drawers and here you get your cabinets open. They are applicable to all the kind of material; wood cabinets, glass cabinets, metal frame cabinets, etc. There is not limitation for any material or any color for putting in your kitchen handle less. It has versatile options to satisfy your design needs. Handle-less kitchen doors with push open mechanism works brilliantly and efficiently for every type of kitchen style; L shape kitchen, U shape kitchen, one wall or gallery type kitchen, two wall kitchen, Inland kitchen etc. 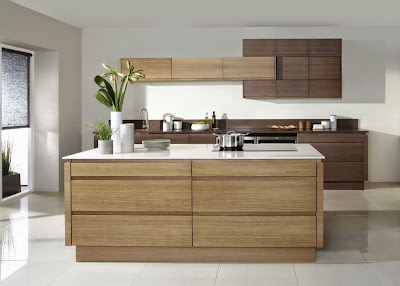 Push open handle-less kitchens work by gently pushing the surface of the door, drawer or stay-lift to open it. Make your kitchen world go more comfortable, amazing, eye catching and add a personified personality to the space with push door mechanism. It is amazing style of adding class, getting more space to work, easy installation and easy maintenance. 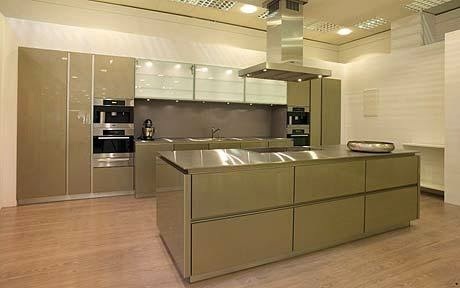 Let your kitchen go handle less and you go carefree and mess free for your kitchen work and appearance...! Hello! 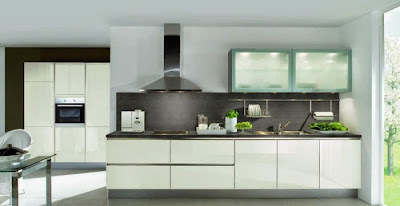 I think, that kitchen is almost the most important part of the whole interior, so it's necessary to approach to repair very seriously and with a positive setup. 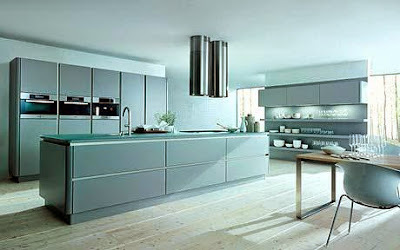 Thank you a lot for sharing this beautiful pictures and interesting information about kitchen space, it might be very useful for me, because we want to refresh our kitchen in erp system development office. Thanks for sharing these beautiful kitchen space with electric chimney. Many thanks for sharing such a gorgeous kitchen designs. This kitchen looks great! This is a great inspiration for me! Soon I will be renovating with home expert and I can not decide how my new room will look like!